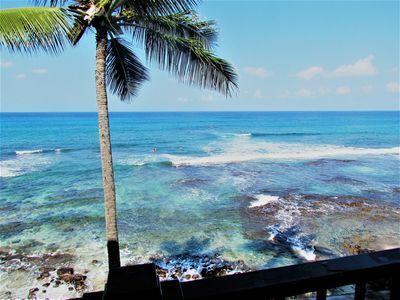 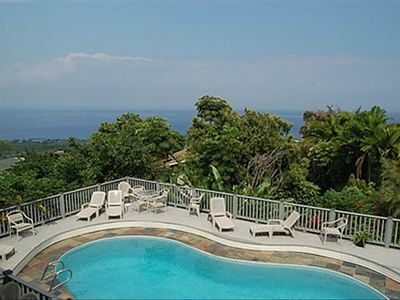 Great Location - Snorkel, Surf & Sunsets! 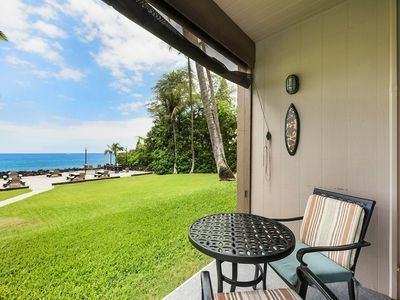 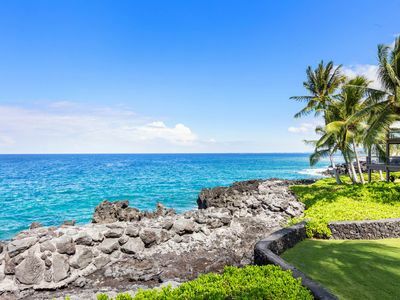 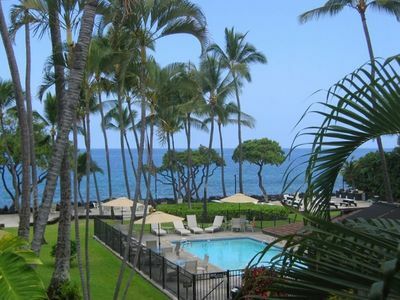 Beach Villas at Kahalu’u is right across the street from the best snorkeling beach on the Big Island! 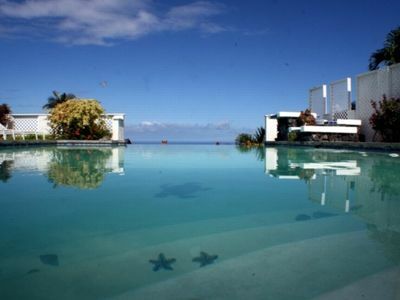 See green turtles and reef fish! 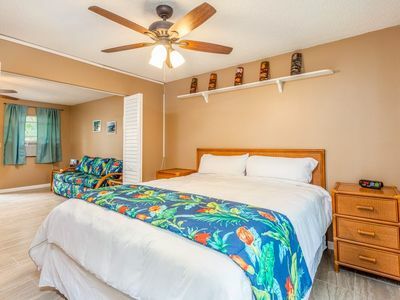 The ground floor condo has 2 bedrooms, one with a king bed, the other with twin beds, and 2 bathrooms, each connecting. 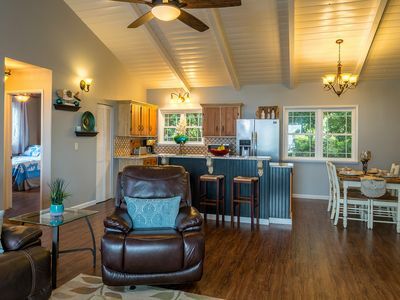 There is a modern kitchen with granite countertops, dishwasher, new stove, microwave and fridge. 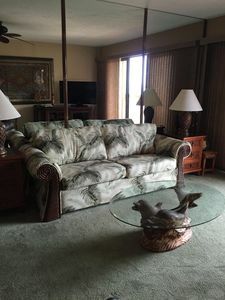 Big screen tv in the living room, smaller tv's in the bedrooms, and internet access and WiFi are free. 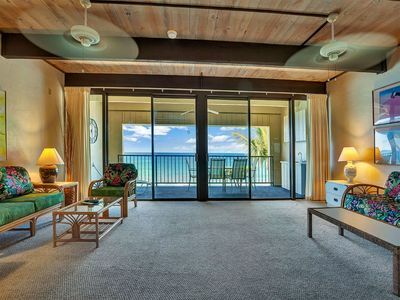 The sliding doors in the master bedroom and the living room are equipped with screens. 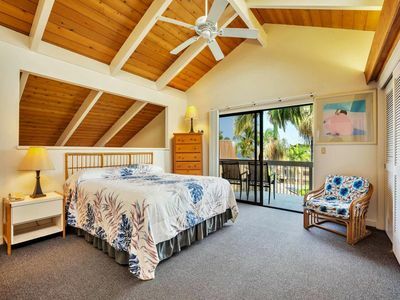 Please note, we also have a 2-bedroom, 2 bath condo on the second floor of the same building for families that are traveling together and need more space (see listing #962452). 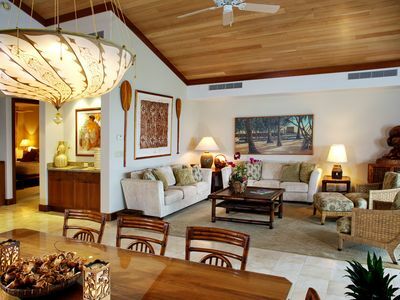 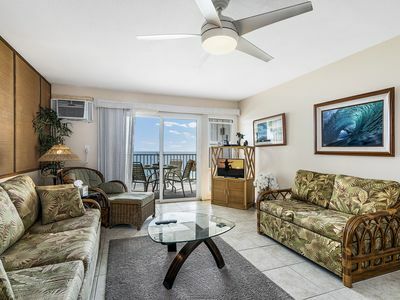 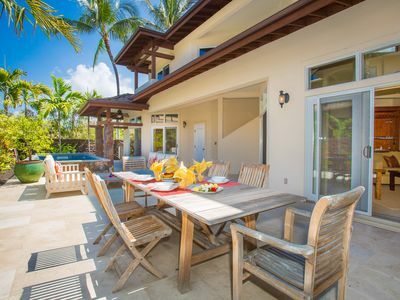 The lanai has a dining set with views of the garden and palm trees at the beach. 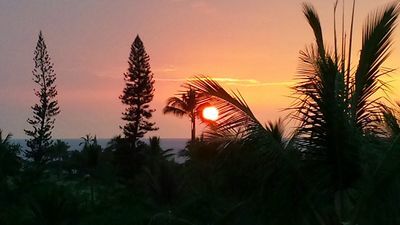 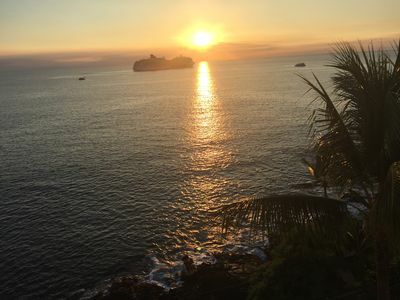 Beautiful sunsets await you! 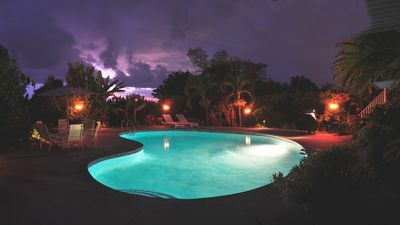 A saltwater infinity pool, with a shallow end for kids, faces the beach, and hot tub and BBQ are nearby. 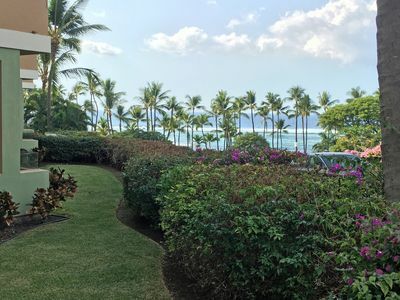 There is an elevator and free parking on premises. 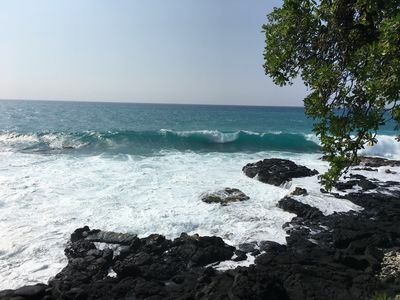 We provide some beach gear like towels, ice chest, umbrella and beach chairs for your convenience. 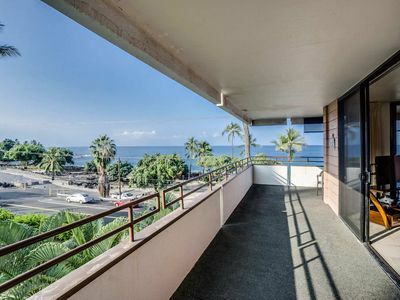 Just one block from the condo there's a surf shop that provides snorkel, surf and paddle board rentals and you can also sign-up to take lessons.